“The world is a very different place. 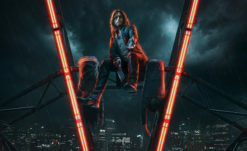 One of the reasons we went to Seattle for Bloodlines 2 is there’s a lot of conflict in Seattle that is a microcosm of a lot of conflict that’s going on all over the place. It just felt like a good place to start to ground it; the conflict between tradition and progress, conflict between money and artistic endeavours. A lot of those conflicts are happening right now and they’re very real. It seems like the perfect place to dig into something that feels very modern in terms of the conflict and also very timeless; grounding it in 2020 but also very much a descendant of what the original game was. One of the reasons why that particular conflict attracted us so much was because it’s an inherently political conversation but it’s one of the few ones where it’s hard to… there are valid approaches. The world has to move forward, right? Technological progress is a big deal and people are going to make money doing it. But what’s the cost? One of the things we really wanted to do was narrow in on a major conflict that can truly, reasonably be seen from both sides. As much as I loved being in Seattle in the 90s, and I’ve lived most of my life in Seattle, but at the same time I make video games for a living. I am not innocent of the tech boom. On top of this, you are evidently offered two character creators — one for the human you were before your embrace, and again once to characterize your vampiric stats, and even these will offer a huge level of detailed and progressive options. More than just male or female — you can choose body type, employment history, fashion (I’m stoked for this one, the selection of outfits in Bloodlines 1 sucked), and even your gender pronouns! It’s pretty rad to see games starting to adopt progressive options, with others like BattleTech 2018 and Monster Prom following suit. Options are always better, especially with an RPG game where you’re literally playing as you, or your ideal caricature. Before I have to sift through comments (which I’m sure I’ll still have to do), none of this is new to VTM or the World of Darkness games as a whole. 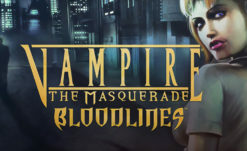 Politics are a major aspect of the tensions throughout the series, in the original Bloodlines and elsewhere, with each vampiric clan waring over their territories. From the officious upper class 1% Camarilla (who are the source for the laws regarding the Masquerade, and often work towards their own goals at the expense of other clans), to the revolutionary anarchists of the Brujah clan. Hell, there’s even a clan literally called the Anarchs, who reject all of it. On top of this, transgendered characters have also been a part of the series since forever — there’s a whole clan dedicated to “flesh shaping”, the Tzimisce, (although being trans has nothing to do with physical appearance) and multiple trans or otherwise genderfluid characters have appeared in the original pen and paper RPGs as well. While it might sound a little shallow next to potentially hundreds of hours long games like Skyrim, Final Fantasy 15, or Fallout 4, I’m honestly glad it won’t be like that. Time and time again I (personally, obviously — tastes and all that) I found games like that to be somewhat fatiguing — long stretches of nothingness on a trek to find or catch up to quests. Final Fantasy 15 would be like three hours long if you didn’t have to sit in the car so much, and even then a good third of the quests are mindless filler. The idea of a densely packed and fine-tuned variety of things to do, rather than dozens of missions dedicated to finding 50 of something, or finding someone’s stupid lost MacGuffin in a cave. Of course, only time will tell — there’s every chance 10 of those thirty hours are finding the lost vampire recipes for french toast scattered across the land. It’s also worth remembering that more content will be added to the game later, with two story packs and a full-blown expansion, as revealed by the various editions of the game. 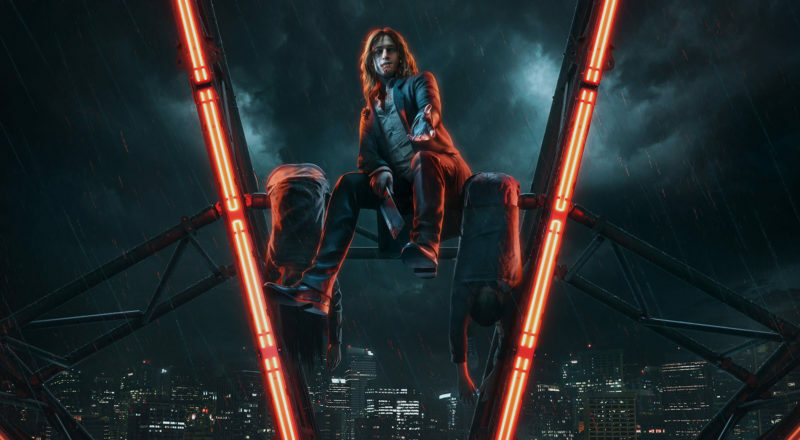 We’ll be keeping our eyes open for any more news regarding Vampire – The Masquerade: Bloodlines 2, which releases Q1 2020 across PC (Steam/Epic Games Store/GOG/etc), PS4, and XBO.